Horror writer Stephen King has not only been extremely prolific throughout his career but he has also had many of his novels transformed into film for the big (and small) screen. One of his most popular book to screen adaptations was Pet Sematary directed by Mary Lambert in 1989 with a script written by the main man himself. The story explores the concept of death and debates its finality. Now, 30 years later, Lambert and King’s film has undergone the remake treatment and, in the wake of the successful remake of It (2017) and coming out before It: Chapter Two (set to be released later this year), I’m guessing studios are hoping to reignite the former King glory whilst bringing new potential fans into the fold. Louis Creed (Jason Clarke) has upped sticks with his family and left the busy city of Boston as well as his stressful and time consuming job as a doctor, all in an effort to live a quieter life in the country. His wife Rachel (Amy Seimetz), soon-to-be-nine-year-old daughter Ellie (Jeté Laurence), toddler Gage (played by twins Hugo and Lucas Lavoie) and the family pet cat Church, are all on board with the move and, of course, the prospect of Dad spending more time at home with the family. When Ellie stumbles across a makeshift cemetery specifically for pets, it's the family’s new neighbour Jud (John Lithgow) who explains that the town of Ludlow has a tradition of sorts when it comes to burying dearly departed pets. Rather than getting upset, Ellie later questions her parents about death and dying; her father, the doctor, offers a more cut and dried response while her mother, who has her own issues about death, offers a more hopeful answer. Of course, when tragedy comes crashing down on the family, Jud offers them unlikely hope from a place he knows where the dead don't stay dead for long. Directed by Kevin Kölschand Dennis Widmyer with a screenplay by Matt Greenberg and Jeff Buhler, this remake doesn’t really bring anything new to the table. That said, there are two major differences between this film and the 1989 film - that I won’t detail here to avoid spoilers. In spite of this though, this latest realisation of Pet Sematary is overall an adequate and fairly decent remake. It has been boosted into today’s modern digital world but this is in no way overbearing and the film still maintains a nostalgic air about it with elements reminiscent of 80s and early 90s horror movies. The team behind the movie were not afraid to go full hog with the jump scares and seemed to relish in the moments of gore. The storyline here kickstarted its way from the get-go and without wasting too much time got straight to it. This worked quite well for the first half or so, and it's here that tension and suspense are steadily built as the house and acres of woodland surrounding it become a playground for Louis and Rachel’s own guilt about death to taunt them. The latter half of the film dips into schlocky horror territory and wavers from the solid foundations that were put into place at the beginning. It’s not a complete loss though and still manages to keep an even course (just about) until the end. Pet Sematary isn’t going to wow audiences who have seen the original but will probably do well in getting King’s stories out to newer and younger audiences. It's not the worst thing to watch at the movies but it certainly isn’t going to blow your socks off. It’s a solid movie that does what it says on the tin. 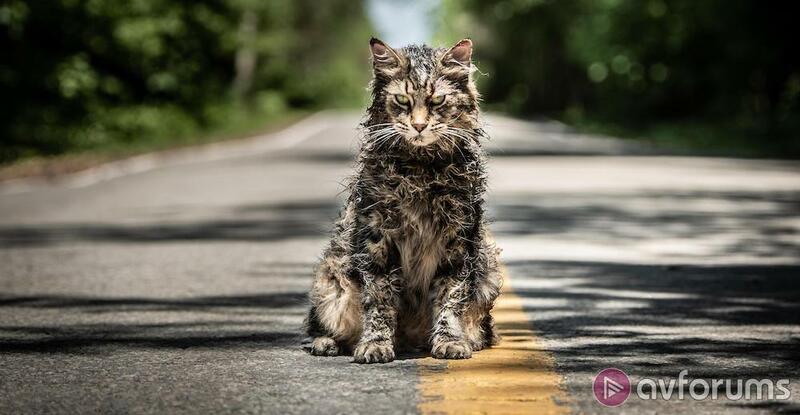 Write your Pet Sematary (2019) Movie review.